All the features you want, none of the extra cost. Robly is perfect for beginners and experts alike. With open gen, the campaigns are sent back to those subscribers who did not open their first campaigns sent in a period of 1 to 10 days with a different issue than the one sent to the beginning. "Sending campaigns at the precise moment"
What Email Marketing solution do you use? "Robly and its smooth functioning"
I really like to use this platform because with its marketing it has attracted more clients and a very good increase in sales has been noticed. "Excellent platform for marketing and mass mailings. " Thanks to Robly we can communicate with our customers, so that they know more about our company, its characteristics are unmistakable, with customized templates for each occasion. its platform is quite simple but contains everything we need, from the campaigns sent to show how many emails are sent. I can not name something that I do not like, because Robly has many advantages, from its technical team to the sales team, always providing great attention to its customers. Good cost, good tools and good customer service, integrates easily and allows you to create campaigns in just a few minutes, we just recommend Robly for being a great software. Robly from the beginning made sure that all our contacts received our campaigns, even this software contains a very important tool that is the ability to perform A / B tests, and also Robly has a great intelligence to know when to send emails. "Personification in an expert way in your email marketing campaigns"
" roby optimize email campaigns, incorporating images, texts to facilitate your marketing"
very opportune to have Robly and we think it's very good because through it has helped us to market our mail to streamline our promotions of the products we have available, is a very appropriate software for commercial use is easy to use, its design is attractive and dynamic, it is stable and fast when using it. good stability on your platform. With the templates that Robly has, it gives me the facility to create campaigns more easily because it already has everything well distributed. It is only a question of learning what information to place in the sites that are already distributed so that it is more didactic for the clients and thus attract more clients. "Campaigns at the perfect moment"
When creating the campaigns, it does not allow me to create sets with different colors of palette, something that seems to restrict me to create the campaigns as I want them and I have to limit myself and the platform gets slow at times without letting me work in an agile way. It has a variety of templates to create different emails. It does something different and good that attracts more profits and customers are more informed about the products through emails or social networks. "Sales combination with good work"
"Robly: the best software for marketing that we have tested"
The system of automatically forwarding emails when customers have not opened it is very good because Robly informs when there are emails that have not been opened and when they have been opened, it is good to have the information of how many emails that were sent were opened with that is known that the information was received. the service to the client by means of chat is super fast they solve the problem to me that has immediately without having to wait hours or days for the answer. I think it has few templates for use, I use a lot of Robly to send marketing information and I think sometimes I have to repeat templates with some clients and I do not want it to be that way because each one should have something different from another that does not look like it. "Help with the expansion of information"
Use Robly to send bulk emails that contain information about programs and events that are going to be done and that are of great interest to the users of the library. Robly has a problem and it is when I am working on a new mail if I get to turn off the computer or the light goes out, when I reopen it robly I have to start doing everything again because it does not save what I had done so far and although it is not a problem of robly that the computer is turned off it would be good to keep what you had done so you do not have to start over. helps to promote the information of the new activities or events that are going to be carried out in the library and that are of great interest for the users who want to attend to participate. "It has been an excellent option for my company." Robly is extremely easy to use and offers excellent value for those on a tight budget. The generation of analytical reports (opening rates, click rates, etc.) is simple. Segmenting lists by user interaction is also a breeze. If you have to follow certain style guidelines with fonts, color, spacing, etc., it is a bit more laborious because you can not create a palette to work with. You have to enter hexadecimal codes and work with the built-in format. In some cases, you can access the code to make changes, but that requires a level of skill that most of our users do not have. Our company used Constant Contact, and then MailChimp, as our e-mail newsletter administrator, when we met Robly and tested his free trial, I had to check it out. I am happy to have done it. In addition to having a superior product, its customer service has been excellent. They are quick to answer questions and are not satisfied until you are. Robly is a very appropriate software for commercial use, it has helped me a lot to distribute the email in a fast way in the products that I promote, it is excellent and it gives me a good stability in its platform. I love that we can send emails to specific lists of people. I love the brand emails that have our printed colors, our logo shown and the images on our website! I really enjoy the data capture and the brilliance of the forwarding software. The fact that they can send emails at the moment when people are more likely to open emails, specific to that person, is an absolute genius. Robly does not offer the possibility of creating the established color palettes, which means that users must manually enter each color code in each element of each email. That's really an element of color in the aspect of email blasts to the extent that users enter their own color schemes, instead of being able to draw from a palette template. Robly has a very limited selection of templates adapted for mobile devices ready to use, but there are many functions to create your own. I would also like to be able to enlarge the size of the images by using a drag function in the corners of the image instead of editing manually. Manual editing makes it difficult to obtain images on the same line if they are of different dimensions. Robly is amazing and I love it :) I will suggest that a person train with the Robly team and then teach other members how to use the software. It is simple and very easy to use. "My solution for email marketing"
Its use is excellent, I like its tools and features that allow emails to be sent automatically to senders who have not yet opened the mail, in about 10 days, intelligent software based on the cloud and with great potential. I would like a little more color adding a palette of colors, but really Robly does everything at your fingertips and is much what you can do, exceeds my expectations. Create and send with Roble is very easy, accessible for which I would always recommend, 10 points for this software. Share your emails in the way you want, with little practice and skills. With the exception of other products, we feel comfortable working with such magnificent software, which allows us to create campaigns with messages and send them at the right moment, the price is very pleasant for both small and medium companies that can afford it. "Robly with good service from the first moment"
There is something that I liked Robly from the beginning and it is the customer service that is so good, acquired Robly and the next day I got an email from them and was an advisor who gave me an appointment to explain how all the Robly platform and best of all that I placed the time and day I wanted the explanation, I thought it was great that because there is notice from the beginning how important customers are to them and that they see no problem in taking the hours that are explaining how it works and everything. Maybe something that has to improve is at the time of choosing the template sometimes take time to load all otherwise everything seems good. Sending business emails in a different way has pleased customers because they have told us that they like to receive different emails from others. "Different form of sending emails"
I wanted to be able to send the information to the emails in a different way to the one that is always used in companies and after searching and searching I found Robly that I think is a great tool to send information to many people in a different way that they are interested in reading. that I send them and not the same mail that is only letters and that bores people sometimes just by looking. Robly helps me save time by sending marketing campaigns because it does it for me at the most precise time for subscribers to open the mail and can visualize the campaign sent. Robly performs a pretty good and useful marketing because it makes a good advertising campaign without spending a lot of time and money, besides that the clients are informed with each campaign that is launched. "different way of doing community marketing"
I like how easy it is to enter information into the system and how easy it is to maneuver the program. I also like the help they provide and the large number of questions answered that they have. It just makes the whole process easier. It is very useful that with Robly we can send emails at specific times, the amount of emails in the list, a marketing software that has all the necessary tools. There could be more options for mobile response templates and the ability to create color samples so you do not have to start from scratch in each campaign. Although Robly has an excellent way of working, emails take a long time to be delivered, it takes approximately 8 minutes for the email to appear. We use Robly mainly for the distribution of newsletters. Newsletters are the best way to clog things that are happening, social events, important information for the present and the future that my audience may need to know. In addition, Robly allows us to track emails once they are sent to find out who opens it, there are many features that we now have access to. "It is a good email marketing system that lets you know how and when to send"
We can count on a good functioning in being able to decide which clients to send certain campaigns depending on the characteristics of the subscribed clients, thus allowing to send effectively to clients with possible interests to those campaigns. It is a good that you have an A / B test system and so you can obtain a good result in what type of emails are sent, as well as an easy report and analysis. Another thing is that I like it is WYSIWYG mail editor so I can be closer to customers and know what they are looking for consumption. The mail editor interface is difficult at first, it requires practice since it is not very interactive for the one who is going to write an email marketing. As the mobile platform should improve it. Surely I recommend it with anyone. Thanks to a good AI Robly account we could take probecho how to manage our email marketing, thus having good results in each deicion that helps us take the platform. In addition, the price is affordable for any company, big or small. "Good Tool for Users of all Skill Levels"
Of all of the different programs I have used in the past, Robly has the most appealing interface. Robly also offers a great amount of creativity. I like the chick function in Robly which has delivered great results in my marketing campaigns - this is because it makes Robly exciting when you are the one developing a campaign. It offers vast options which I have found allow me use my creative side to the fullest. Another Robly aspect that I appreciate is the overall cost - especially compared to similar products, it is relatively low cost for all of the features it offers its users. The only thing I don't like about Robly is how it tends to block your account if a campaign has a lot of email addresses that bounce back (meaning that the email addresses are incorrect). Especially when working with large campaigns, it is difficult to stay on top of all of the different email addresses that it is being sent to - email address get updated or deleted frequently and managing the email list could be a full time job in itself. It has been my experience that while Robly will block my account if a large campaign has a lot of bounced messages, that all I have to do it contact customer service and they fix the issue immediately so that I can resume working in Robly. If you are considering Robly I suggest giving their customer service department a phone call. They will take the time to describe the product in great detail and answer any questions that you might have. This makes it easier to decide if Robly is right for you and if so, which subscription is best. Customer service at Robly has been of great value in my experience. Robly's statistics on marketing campaigns has been a huge benefit to my organization. We can run a report on a campaign in Robly with the click of a button and get all of the statistics. This makes it easy to see what is working and what needs to be adjusted. Before Robly, we would have to manually go through emails to see which were opened and which ones were disregarded - Robly's reports save us hours and hours a week. The thing I liked the most about this product is the customer service provided. Robly customer service representatives are kind and able to answer any questions or assist with any issues that I might have. I also like the Robly AI features. The Al features allow you to distribute an e-mail blast and it predicts when the customer will open their email. Robly will then send the email at that predicted time. This helps to ensure that emails are opened and not overlooked with the flood of emails a customer might receive over the weekend or at night time when they are away from their desk at work. Another thing that I like about Robly is that it follows up on emails that are sent using the service by checking for any bounced emails or messages that were delivered to spam folders. It then gives you a rate that allows you to view how many of your messages weren't delivered to specified user inboxes. There is not much that I dislike about Robly but it would be convenient if Robly developed a mobile application. A mobile application would make it more convenient to use Robly from a mobile device. It would also make it so that you don't have to login each time you want to use the service. A mobile application would also allow you to receive notifications of activity on Robly. I recommend Robly because of how user friendly it is - very little time will need to be spend learning how to use the service. I have never encountered any system issues or failures when using Robly - it has always been reliable and effective. Robly has allowed my company to personalize campaigns which allows us to reach more customers - ultimately leading to more traffic on our company website. Robly also is beneficial because it allows us to save and edit our campaigns - we don't have to start from scratch each time we have a new campaign or want to make a change to an existing campaign. Robly saves time and increases customer awareness of our company. "A powerful platform to do email marketing"
One of the positive aspects of Robly is that it offers me the possibility of modifying a campaign after it is published, which undoubtedly allows us to correct or improve our marketing strategies on the way. It is easily integrated with social networks. Maybe the price is somewhat high. However, it is justified on the understanding that the service is excellent. "Statically Robly offers the best functions." For the moment the best features that Robly has, include its functions, since they provide each user with a different way to evolve their advertising campaign, and also, counting as an immediate automation for the management of it, are functions that in the long term, they generate a certain complacency for people and make them perform better. My complaint would be in their prices, I think Robly does not offer a good possibility of having a better price-quality comparison, leading to users not being able to buy the plans they offer, due to the high costs. I consider that Robly has been and is being, a platform which is handled in a very simple way, and at no time there is any confusion in the process of application of the campaigns, and I also consider that its interface is the indicated, since it is easy to operate. The benefits that Robly is giving me the truth are being very favorable, managing to offer campaigns with better statistics for my colleagues and clients, the truth is improving advertising campaigns a lot. Mainly Robly is a platform that offers the necessary features to take Email Marketing to another level, each of the functions has an excellent quality ratio to the user, and also, an immediate possibility of being able to access each of the plans that offer , at a fairly low price that can be obtained by anyone. Robly perfects the automation, and gives the user a platform where almost everything is automatic. I would like Robly to incorporate an App for mobile phones, with the sole intention that users can be aware of their advertising campaigns, to be able to review statistics and results wherever they are. Robly, is a totally reliable platform, each user can operate freely and can get answers from the support team in minutes, attentive to any questions. Its functions are really statistics to achieve results of up to 100% in the automation of campaigns. I am benefiting with Robly because at the moment, it is totally changing the way in which Email Marketing is handled within my company, also contributing, very automated advertising campaigns, for my colleagues. "Campaigns without setbacks and easy." Robly has very good features, and its proportion in customer service is quite pleasant. Also, it is important to cover their prices, in this case, the rates offered are quite low costs and gives the possibility to different users to access a more consolidated platform at a certain point. Also, it is a very automated system, reaching excellent results in a campaign with automatic pilot. I have no complaint about the services that Robly is offering, however, it is very important to highlight that the design, have a long time that they do not change it or renew it, I would like constant updates in this area. Mainly, Robly is a very easy to use platform, and provides all the necessary functions to carry out an advertising campaign with accuracy and without setbacks. Also, a result of up to 100% effectiveness can be obtained in a short time. "Very fast platform for campaigns." Robly has very basic functions, but in reality, those so basic functions, achieve a campaign with a fairly fast publicity, and generates that the clients manage to have Emails with a faster reception. Also, it is considerable to say that Robly's design is the most appropriate to start a campaign, since it provides comfort in all its sections. I have no complaint about Robly, the truth is that its structure is very well designed, and perfect to not have any kind of interruption in the process of developing an advertising campaign. Robly is a very free platform, its features are 100% easy to use and almost everyone can adapt to them and achieve advertising campaigns in a matter of minutes with a basic design. I would not use Robly for anything in the world. I have obtained several benefits with Robly, since it has helped me obtain a positive factor in advertising campaigns, providing better campaigns for my colleagues and for clients. It is also helping me get a much more automated Email Marketing thanks to its configurations. "Effectiveness of Emails with fast delivery." The most attractive in Robly, are definitely its functions, it is great to know that you can completely edit your advertising campaign even when it has already been published. Also, the design of Robly completely perfects the entrance to its platform, integrating sections that make it a more complete and beautiful platform. I have no complaints about the use and proportion that Robly is giving me, since it is currently including many good characteristics of Email Marketing, making it every day more innovative. Robly is a very easy to use platform, I would say that it provides the perfect features and without any error, since during the whole process, it has behaved with a 100% effectiveness. With Robly I have managed to have a better Email Marketing with each one of my colleagues and with my clients, achieving impressive results with a fast delivery and a fast reception by Robly, it is giving me an impressive effectiveness, day by day it improves this area of Marketing. I am very excited with the results. "Robly is the best Email Marketing without a doubt." The best thing about Robly is the fast reception it has in each mail processor. I have tried quite a few Email Marketing platforms, but none compares with the speed that Robly has both sending and receiving emails to each person who subscribes to an advertising campaign. The truth is I am very happy with this speed because it has brought a better status for our company. I think I do not like the design of Robly or the sections it has for its users, I see the design very limited and has very few sections to investigate and test, I would like the interface as such has more sections to review, I feel that the platform is very empty and almost all are blank spaces, should add more things to complete the interface and make it more comfortable. I would recommend Robly because I have been seeing that the software as such, does not produce any type of error and the truth is very easy to handle it, each of its functions are very easy and providing the quality of delivery necessary to have its customers very happy. If you are looking for software that helps you in Email Marketing, Robly is the best option without a doubt. I have benefited from Robly because I have managed to get the best platform to help me keep my advertising campaign active at all times and it is also providing me with an infallible speed of both sending and receiving, something that is totally valuable in my company and that is making grow little by little. "Robly offers the best quality in Email Marketing." The most considerable and beautiful that Robly has is the interface, since it is very diverse, thanks to Robly is considered a program with a lot of creativity with the integration of a "chick" on its platform, this has given the interface so fun that has nowadays, I consider that this implementation has been a very intuitive improvement that has managed to bring very good results to many people, since the platform does not bore, on the contrary, the stay in it is quite comfortable and you can be hours and hours designing a campaign without having any boredom. I also like their prices, it is one of the cheapest Email Marketing platforms in the market and with some amazing functions, I hope they continue offering these cheap prices to all its users. I really do not like that Robly delayed so much in receiving the emails, since I have received several complaints from people who receive emails from the Robly platform, they take a long time to reach each mail processor, I would like this platform change that and achieve that each person has a reception of emails consolidated and very fast, which is almost instantly as in other platforms. I know that Robly has the potential to improve the reception of Emails, and if it does, it would become one of the best Email software, I know that it will be able to do it and it will bring very good benefits to those who use it. I would recommend Robly to other people because I have noticed that it is a software that really fulfills absolutely everything it promises, and currently using its platform is very easy, each of the functions are easy to use and apply in an advertising campaign. I would also recommend it because the functions offered are at a price below $ 200 per month, something really rewarding. - A more frequent contact with people who are subscribed to my advertising campaigns. - My company has had a better development in Email Marketing, achieving an almost automated process by Robly. - We can have full control of the subscriptions we receive, to be alert to any irregularities. - Robly provides us graphics so that we can see the results of each elaborated campaign. The truth is I am very happy with the results that Robly is having in my company, and I hope that I will continue to provide the same results for much longer. "If you're a non-profit, Robly is the affordable, user-friendly solution for you!" From the seamless template design set-up to the helpful support team, Robly makes email marketing easy and effective. Transferring our list of email recipients from our old platform to Robly was uncomplicated. I am especially impressed with the look of our new campaigns, professionally designed and fun to create. I was disappointed in the new editor's inability to anchor text to my Table of Contents. However, the support team offered viable solutions and followed up with me after the issue to make sure I was satisfied. If time is as important to your industry as it is to our non-profit, I highly recommend Robly as the email marketing solution for you! With Robly's OpenGen and AI, I am seeing a significant increase in the number of "opens" for my campaigns. "excellent option for marketing sending"
"Particular speed with faster email send Robly." Robly has very good features, but in particular, the factor that gives it the most strength in sending Email, and that complements it most, is the speed of sending, there is no software that compares quickly with Robly, since in question of seconds the client receives the appropriate message in his email, a speed that nobody has. Robly's subscription plans are not so high, because many companies can access the latest plans without any problem, however, I would consider that Robly should also adapt to small companies, in this way to be able to provide small plans with some benefits and that has an accessible price for small businesses. I could recommend Robly to companies with high purchasing power or that are companies with a good financial area, since they have to pay a few high subscriptions. Robly has helped us a lot, our company has emerged in a short time with the help of Robly, we have managed to send information quickly by email with this software and that speed has made us grow in every minute. "Structure with basic platform and variable fuctions at Robly." The best thing about Robly is its structure and the secure platform it has, since you can work freely and with many pleasant functions that give a good view to every Email that is presented, it is fantastic to edit the Emails with Robly. I would recommend Robly in any company, from any work area, since it adapts easily and together with its functions, can achieve an immediate and clean work. With Robly I have been able to send information to each client about the vision I have in my company, so that they know it thoroughly, and the best thing is that the emails on this information come instantly. "Strong point its composition at Robly software!" Robly has a strong point in its composition, and it is the design, the attractive design that it has is the one that gives life to the software and makes it much better and more adaptable, with the design I have felt much more comfortable since I am totally encouraged to make the correct configuration in the Emails and thanks to its functions I can do many things in my Emails. The prices of Robly are very high and it does not allow to give accessibility to the plans with more benefits and to be able to have total access to Robly, I would like that a considerable decrease of prices was provided that allows to buy the last plans of this software. I would recommend Robly to those companies that want to share information about their company and the intentions they have in society, since Robly has the necessary tools to bring immediate success to the companies and their composition. With Robly I have been able to quickly send the necessary e-mails to share information about my current company, it is very important to send information immediately to anyone who wants to know about the vision we have in my company. "Complements with nice fuctions in Robly." Robly has a fast Email, of all the software that complements the Email Marketing, Robly is the best, the speed of work that it has is really amazing, also its design is very good since it represents very well the comfort and facilitates the work at the time of doing it. Robly's subscription prices are very high, I would like Robly to offer cheaper plans or to reduce the costs of each of the plans, from the most basic, to the highest, in order to allow better accessibility to high plans and get more benefits in the work area. I would recommend Robly for companies that want to change the way they send information about their company, with Robly it is easier to send information by email and almost instantaneously. With Robly I have managed to implement another technique of sending information through Email very different from the one I used previously, this way of working with Robly is much more comfortable to send information about my company, much easier to use. 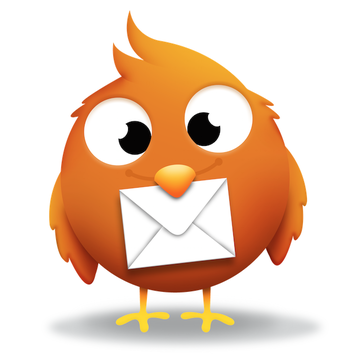 "Effective and fast Emails with Robly software, fantastic software everyday." Robly is a very effective software with respect to the speed with which the emails are sent and with the speed in which each person receives them, it is fantastic to see how an email is sent and in just waiting moments, the person already receives it, what I admire. Robly prices are very high, I would like Robly to have consideration in that there are many small businesses that need their services, and in this way they can access all Robly services without paying high costs. I would recommend Robly mainly for those companies that want to send important information about the products they offer or what the function of the company is intended for as such. "We love it with Robly we can send emails at specific times"
With this program, if you want to have control of your campaign, emails and track what they opened or not, the quality of the robly software is impressive. Save time with this platform, you will see how your customers will increase as well as your sales. Excellent tool for sending emails, customize your template, you will see the results. Very good program, but the free version does not allow you access to certain options, which are necessary for the proper use of the program. They should make a free version for those who can not purchase the product and be able to enjoy certain benefits of the program, example that is not relevant, teamviewer has a free version, but gives you the possibility of using personal and non-commercial, having detection tools and when they see something unusual pss, they invite you to buy the product. With a low price. 3. You will be better informed if the mail reached your recipient and which could not leave at the time, additional you can customize your campaigns. An excellent application for sending email, it helps us to release a little workload, offers a collection and adaptable models for sending emails in each campaign, I congratulate you. With it you can customize the name of the client to differentiate the companies or campaigns with the combination label in the email, if you want to have control of what you do, if the email was sent or not, robly try to send it again, with this tool we save time, as a good platform helps us 100% with the increase of customers and especially with sales. I can track my marketing campaigns and before sending, verify the publication and modify what I want. Their templates are responsive (can be seen on any device) no matter what operating system you use. Use this product and you will see how your sales will increase aggressively and in your favor. It is very limited when designing, It would be very useful if its more advanced functions are much easier to understand. I really hope you can review these suggestions as this tool could be much better. Its collection of templates does not help to expedite the work, this marketing application makes the work more pleasant. Robly helps us solve the work in a short time. A good online tool for you to track your advertising campaign, its emerging elements will help you to know faster information you can share everything to social networks directly from robly. You will be able to synchronize the clients with other tools having priority with robly a bidirectional connection in real time, as such it implements the productivity of your department. Save time and work more calmly with this tool. I have nothing negative to contribute from this tool. It has everything you need robust, powerful and above all it provides multiple types of users, (it is not necessary to have much knowledge in marketing or email.) Increase the rate of your advertising campaigns. If you want a tool to give proper visibility and growth to your advertising campaigns, I recommend using Robly. With this excellent tool we have predetermined the automatic sending of advertising campaigns by email, with different issues to the clients at their appropriate time. A tool with good functionality, its models are varied, the generation of reports we have in a single click. "An easy-to-use email marketing service." With Robly we have been able to automate our work since we send emails in a constant way just by programming them. It has very good features like OpenGen that allow you to expand the list of subscribers. I really like your live chat that allows communication to be more fluid. I do not have many negative things to say about Robly. I think something to improve is to add more text font styles as well as templates. The interface, although very intuitive, could improve its design much more, making it more pleasing to the eye. If your company is big, I think the best alternative is Robly, who will have a great ally. If the scope of your company is low range another service could be the solution. Robly significantly improved our ability to win subscribers and communicate with them. Thanks to this service we can carry out campaigns that have allowed us to position ourselves much more in the area of telecommunications. * We monitor all Robly reviews to prevent fraudulent reviews and keep review quality high. We do not post reviews by company employees or direct competitors. Validated reviews require the user to submit a screenshot of the product containing their user ID, in order to verify a user is an actual user of the product. Hi there! Are you looking to implement a solution like Robly?